Bharat Sanchar Nigam Limited, the state-owned telco has not kept quiet since the data tariff war kicked off in the country. The operator has been revising its old plans, side by side launching new plans for the consumers to hold on to its existing subscriber base and also to attract new customers. Because of heavy promotion and advertising prepaid plans by private telcos enjoy more attention from the masses, however, BSNL although not that popular, has got appealing prepaid plans in its portfolio which give the private prepaid plans a run for their money. Below we have detailed five such plans by BSNL. This plan is the cheapest offering in BSNL’s prepaid portfolio. The speciality about this plan is that it comes with 1.5GB daily data benefit for a validity period of 26 days straight. The ‘Data Tsunami’ plan has been aptly named because although it comes stripped of all calling and SMS benefits, the data benefits of this plan are much similar to some higher priced plans by private telcos. This Special Tariff Voucher (STV) by BSNL offers 5GB daily data with unlimited on-net voice calling. The data speed reduces to 80 Kbps after FUP usage, which means that the plan comes with truly unlimited data. There is also the free Personalized Ringback Tone (PRBT) for the subscribers of this plan. The validity of this plan is 45 days. BSNL customers get all this benefit for Rs 333, which is a hugely economical price point. This STV is similar to the Rs 333 STV, and it offers 6GB daily data with unlimited on-net voice calling. The data speed reduces to 80 Kbps after FUP usage again meaning unlimited data. There is also the free Personalized Ringback Tone (PRBT) for the subscribers of this plan. The validity of this plan is 60 days. This ‘Maximum’ plan by BSNL offers unlimited voice local, STD and roaming voice calling facility. There is also daily 1GB bundled data per day. The SMS benefits in this plan include 100 SMS per day. The validity of this plan is 181 days. The voice calling benefits, however, aren’t extended to callers in Delhi or Mumbai. This plan has been exclusively launched in Andhra Pradesh and Telangana circle at the price of Rs 171. 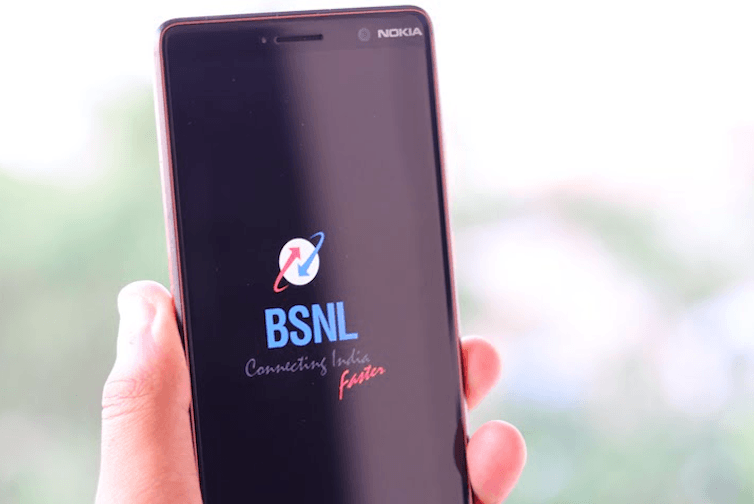 The plan is special because with this pricing BSNL officially beats Reliance Jio, Idea Cellular and Bharti Airtel by offering 60GB data for a validity of 30 days which translates to 2GB data per day. Besides, users also get the benefit of 100 SMS per day. This plan even doesn’t come with the limitation of Mumbai or Delhi callers, wherein BSNL charges its customers separately. The only drawback with this plan is the limited availability in only one circle. I don’t know whether BSNL can beat Jio or not specially in Kolkata, because although they provide network everywhere and provide good internet speed for streaming audio-videos & online banking, their continuous download speed is very poor unlike Jio. I don’t know the situation of Torrent downloads right now. So beware before subscribing BSNL specially for internet (big downloads e.g., Linux ISOs, large softwares etc) in Kolkata.